Some Romantic Gifts for Valentine’s Day for You! People in love often want to find a unique romantic Valentine gift for their partner, I know I do! So here I’ve got romantic gifts for him and her and gifts that work for both. Men seem to be confused by what to do for Valentine’s Day, but women even more so! I get way more letters asking me about romantic gifts for men in general, or gifts for husbands or boyfriends than I do gifts for women. Or maybe it’s that old thing where men don’t ask for directions, I’m not sure. I just know that romantic gifts for men are the hottest topic around Valentine’s Day, not romantic gifts for her. Go figure. So here I’ve got gifts for boyfriends, husbands, girlfriends and wives because Valentine’s Day is my favorite holiday. Yes, I’m a hopeless romantic. I know it’s supposedly a commercialized holiday dreamed up by Hallmark to make more money from consumers; and I know all the reasons to lessen its importance as a holiday since it is not in any way related to Christ or any pagan holidays really. Valentine’s Day, celebrate it more. and jewelry, and while I adore all of those things, it’s also a day to celebrate your love in a way that’s unique to your relationship. So go ahead and explore your creative side when celebrating Valentine’s Day this year…and it’s okay to be mushy too. On Valentine’s Day you get to be as creative and romantic as you want to be, and it is a day of love, so say it…and don’t stop there; show it. Love is a rare thing, well worth celebrating! Here are a few romantic gifts for Valentine’s Day ideas to get you started. Most of these Valentine’s Day gift ideas will work for her or for him, either one. Guys like to be surprised too! In a hurry? 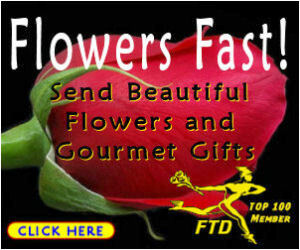 Click here for Romantic Gifts! and that is to love more. what’s romantic than you do. Your boyfriend, or your husband might surprise you if you ask them what a romantic gift for them might be their favorite idea. Of course a Valentine gift for a boyfriend is probably going to be different than a valentine gift for a husband. Depending on how long you have been involved with your boyfriend, their idea might be a more romantic gift, or it might be more appropriate to give a unique Valentine gift that is not quite so romantic. Take a cue from what they tell you. Maybe your husband has a high stress job where he has to make all the decisions. A romantic gift for a husband like this might be a trip where he has zero planning to do. Make all the arrangements for him and just give him the tickets. Maybe your boyfriend travels all the time and just wants to relax on the weekend. A romantic gift for this boyfriend might be a relaxing day with nothing to do but watch his favorite team on TV. Give him the TV, or if you have one already, give him the gift of the time off! Maybe he’s a fashion guy and would love a cool accessory like a trendy watch, or a new shirt. You know your man best, so give a gift that is unique to him. There are many ideas on this page that will work for a husband or boyfriend either one. Enjoy! Go all out! Instead of just a card, get him a whole poster. Men and boyfriends love grand gestures! Romantic gifts for her depend on the type of woman she is, but almost all women love romantic gestures so go for a love gift, or a traditional Valentine’s day gift and you will most likely be okay . Most women say they wish their boyfriend or husband was more romantic, so you can’t overdo it. Flowers with a mushy card, her favorite perfume, or the one you like her to wear, or chocolate, or a night out away from the children are all ideas that most women welcome. But if you are looking for a more unique romantic Valentine gift, read on, I’ve got a few more on this page. Need romantic gift ideas for a girlfriend, who is likely to become your wife? I’ve got some really cool ones for you! You’ll find a romantic gift for her, I promise. Inspiration. Ladies, this is a romantic gift idea for your husband or boyfriend, and he will love you for remembering his special songs! Men, she will love it too! This takes some special thought and she will remember. What a creative way to say “I love you”…record some songs that remind you of your romance and present it to your sweetie first thing in the morning…or even wake up to it instead of an alarm clock. Here are some already recorded to jog your memory. eat them right away) and a Valentine card. Or for the most impact, make your own Valentine’s cards. Some links for free printable cards to use for making your own cards are listed below. Making your own insures that your Valentine will be unique! Print a Free Valentine’s Card, and Customize it. Use any of the quotes on this page as a start, and add your own sweet words of endearment…. How About a Gift Basket of Chocolates? Surprise them during the day. will find them massage or a day at a spa. You can make them from printable sites like the ones above. Curl the coupon around a bottle of perfume. Of course, the ultimate surprise is …. flowers! Order them and have them sent to the office, or buy some at the flower shop…but don’t forget them! Going out to dinner is a treat! But if that won’t work for your budget, you can have it at home. When my children were young and finding a babysitter was a problem, I used to plan Special Dinners. I would cook gourmet food and we would turn the lights off and light candles and play soft music just like they do in fine restaurants. If you plan this in advance, it can work just fine at home. You can even get a wonderful meal delivered! Get Your Meals Delivered to Your House! Another heart Poster for a grand gesture! What about planning a trip and suprising your partner! If you can’t go right nowfor Valentine’s Day, plan all the details and and place the tickets in an envelope to present at dinner…or in your card, or in the flowers, or you’ll think of someplace! But if you can, February is a great time to go many places for vacation. It’s after the Winter crowds, and before the Summer ones. A little getaway, or a week long celebration, either way, what a great romantic gift for Valentine’s Day. This is another gift that is unique and a treat for a boyfriend or husband. They usually have to do all the planning all the time and appreciate it being done for them once in a while! Or Just Stick a Big Bow on It. This Heart Poster looks like a giant Valentine Card and he or she can keep it and use it to decorate a room. How cool is that? Totally unique and romantic Valentine idea for a man or a woman. Maybe you are one of those people who has a hard time saying those little words that mean so much to a lover: “I love you”….well this is the day to say it. It’s okay to be unique in the way you say it. So if you can’t say it in your own words, copy a poem and put it in a card, or have the baker write love words on a cake, or hire a skywriter to fly around and say “I Love You” in the sky! But say it! You never know when you might not have the opportunity again. How About a Friendship Ring? Valentine’s Day is one of the most popular days of the year to pop the question…and why not? You’ll never forget the date! And what a perfect way to celebrate your love! In Las Vegas where I lived at one time, Valentine’s Day is one of the most popular days of the year to get married. Everywhere you go brides are stepping out of limousines and champagne corks are popping and the Wedding March is playing. You won’t have any excuse to forget your anniversary! And it is easy to arrange to get married there, even at the very last minute. The whole city caters to the bridal industry and you can get a license all day and all night for immediate use. Before you leave the store, grab a ready made cake from the bakery. Buy some strawberries, fresh is great, but even frozen will do. Of if you can’t find strawberries, bury some cherry pie filling…and buy some vanilla ice cream too. When you get home, offer to make the special romantic dessert. Put equal parts of ice cream, fruit, and cut up cake in a bowl. Or even easier, buy a bunch of different chocolate bars, and stack them up neatly beside a nice card. Find a Valentine card if there are any left, or if not, just buy a pretty card with as much red and pink on it as you can find. Some grocery stores even sell helium balloons which is great too… as these will substitute for flowers in a pinch. If you discover before you leave work that you didn’t get a card and are worried you can’t find one, print one from one of the above sites, and copy one or more of the poems and quotes here to add to the card. Most people love homemade cards. latest romantic comedy. That way you will look like you had this whole Valentine’s Day planned in advance…and maybe next year you actually will. It will be easier on you! Click here for romantic ideas.